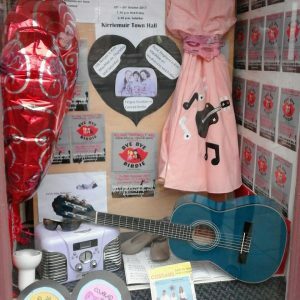 We would like to say a huge thank you to Currie & Co accountants in Bank Street, Kirriemuir for affording us space in their “Community Window” to assemble a display for the upcoming show Bye Bye Birdie. It looks fantastic and very 1950’s!! Why not nip down to the window and see it for yourself in the flesh!! We hope to see you all at the show.